Bob Cousy was the forerunner for today’s generation of explosive and flamboyant point guards. He joined the Boston Celtics from Holy Cross College in 1950, and quickly established himself as a star. Cousy played 13 seasons and was an All-Star every year. But for the first six years of his career the Celtics were never able to win a championship. Things changed dramatically when Bill Russell arrived in 1956. To the outside world Cousy and Russell were the perfect duo. One was an offensive wizard, the other a defensive genius. They would team for six championships over Cousy’s final seven years, losing only once in the 57-58 season, in large part due to an injury Russell suffered that he still tried to play through, but was less than 100 percent. However while things between the two were great on the court, it wasn’t quite the same away from the game. America was in turmoil, and the Civil Rights Movement was at its peak. Bill Russell was outspoken about the injustices he saw, and paid a great price for his candor. He was vilified in the press, and suffered extreme and ugly vandalism at his home, as well as getting frequent death threats. At the same time many sportswriters were quick to credit Cousy as the sole or major reason for the Celtics’ achievements, something that grated on Russell’s nerves, though he seldom discussed it. Still, Cousy was both smart and savvy enough about society and Boston to recognize what was happening. But unfortunately, though he personally was very much supportive of Civil Rights and social justice, he never publicly took a stand against the abuses Bill Russell was experiencing at the hands of “fans” who cheered the Celtics on the court, but otherwise despised him. Russell would lead the Celtics to five more titles before he also retired in 1969 as the greatest winner in team sports, leading his team to 11 championships in 13 seasons. Bob Cousy is now approaching 90, and Bill Russell is 84. Over the many decades since leaving the NBA, Cousy has agonized over the fact he wasn’t more openly supportive of Russell during their time together. It’s led to a thorny relationship between them, one Cousy now hopes he can improve. 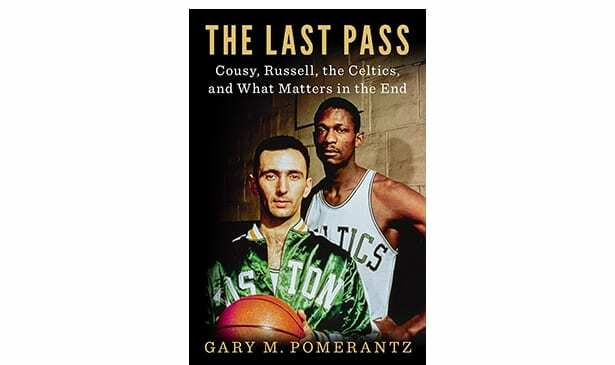 He’s taken the major step of acknowledging his faults in an acclaimed new book “The Last Pass – Cousy, Russell, the Celtics and What Matters in the End” (Penquin) by noted historian Gary M. Pomerantz. It details his failings in regard to Bill Russell’s situation, and his desire to make amends, if possible. The scars of his time in Boston still linger with Bill Russell. When ESPN’s SportsCentury program chose him as one of the 20th century’s greatest athletes, he was the only living selection who refused to participate in the project. One of his few friends in the media, the late sportscaster/journalist Frank Deford, wrote that among the reasons he heard for that action was due to Russell hearing an ESPN announcer reference the 1964 Celtics as “Bob Cousy’s last team,” which was totally inaccurate as Cousy had already retired. Pomerantz interviewed Cousy for several hours over the course of writing this book, and the subject of race was a frequent one. He discussed his relationships with Boston’s first Black players, Chuck Cooper and Don Barksdale. He acknowledged that when the Celtics became the first team in the NBA with an all-Black lineup the reaction was less than positive in many parts of the city, and that despite the Celtics winning all those titles they were never as popular inside the city as the Bruins, a team that was a steady resident in the NHL’s cellar during much of that same period. However Cousy’s most poignant and painful memories concern his relationship with Russell, and his either inability or refusal to stand with him during periods of public unrest. No one knows if Cousy’s efforts will be successful all these years later. There are plenty of people who feel he’s blown his opportunity, and that what he’s doing now is trying to assuage his conscience before he passes. Others are more charitable, and feel it’s always good to reach out and try to mend fences, no matter how long it’s been. “The Last Pass” has plenty of other intriguing historical details, from the rise of the Celtics to the demographic shifts in the NBA, changes in how basketball was played and officiated, and the subsequent turmoil across the country. Next articleDo You Want a Whiter and Brighter Smile?